Many readers ask the World’s Tallest Water Sphere site, what exactly is a water sphere? What distinguishes a water sphere from a water spheroid? What is a water ellipsoid? What is the difference between a water tower and a water tank? Is the Union water tower, the world’s tallest water tower? 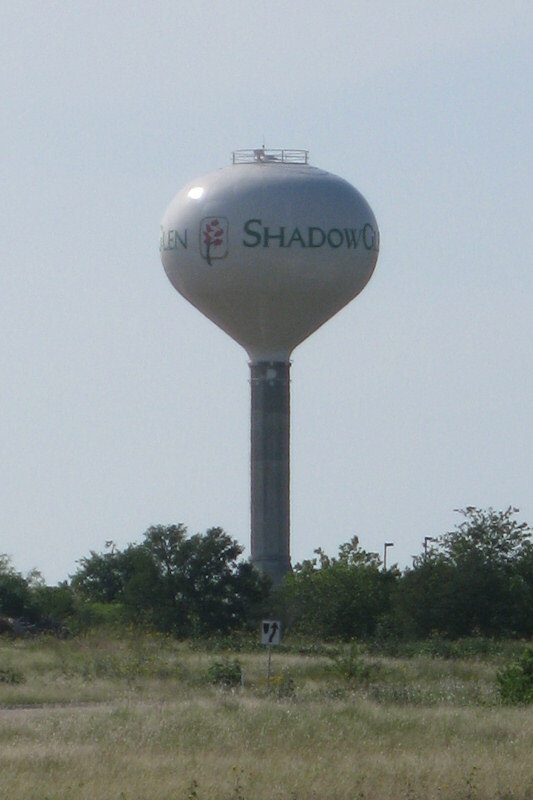 To help answer these questions, the WTWS staff has journeyed to photograph some water towers in Manor, Texas. A water tank is a container or vessel that stores water for later use. Water tanks come in many shapes and sizes, but most water systems have cylindrical or spheroidal shaped tanks. Typically they are filled by electric pumps that move the water to the highest part of the tank, and they are drained by the force of gravity moving water through outlets at the bottom of the tank. Most tanks are filled with treated water that comes from a well, river, or natural reservoir. A water tower is a particular water tank that is taller than it is wide. Many water towers store water high above ground. This is done so that gravity pressure can move the water to any site that is lower than the tower, since water likes to flow downhill and seek a lower elevation. Many water towers have a bigger top than bottom by using legs or a large center post. This puts the stored water at a greater height than an equal-sized volume at ground level. Below are photos of three water towers. Click on the thumbnail photos for a larger view. The one to the left with the emblem of the Manor Mustangs is a water sphere. Notice the top of the tower is a sphere. It has a conical reinforcing collar below the sphere, but the roundness of the tower is clearly visible. The tower in the middle is a newer water tower located at the Manor Technology High School. Although the middle tower also has a conical neck, the shape of the spheroid is visible. It looks like a flattened pillow. It is most clear when you look at the top of the tower, the outline is not a circle. The last picture on the right is a water spheroid at the Shadow Glen Golf Club in Manor. Once again the top is clearly not spherical. It looks flattened. 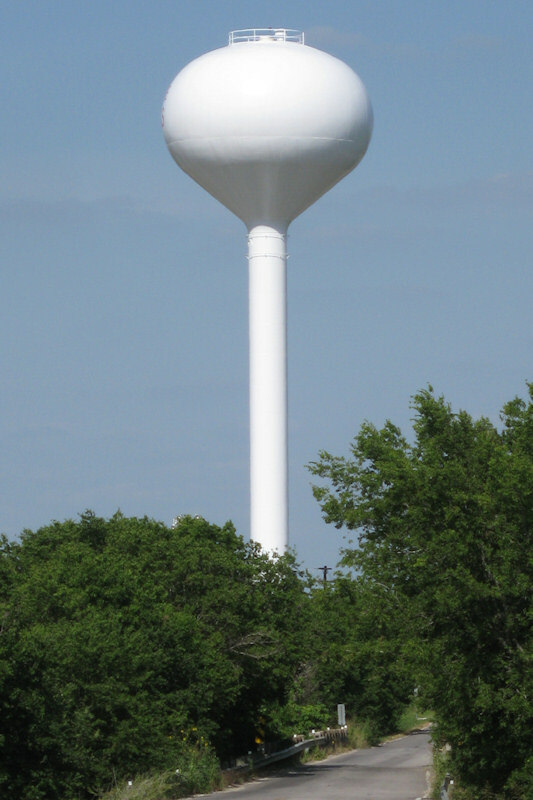 Most water towers made in the last 50 years are water spheroids and not water spheres. For engineering stability reasons, mostly due to a more aerodynamic shape in cross winds, new towers are almost exclusively the water spheroid type. And none are as tall as the Union water tower. So for the particular type of water tank known as a water sphere, the Union water tower is the World’s Tallest Water Sphere. This entry was posted on Monday, June 8th, 2009 at 6:39 pm	and is filed under Competitors, Fun Facts. You can follow any responses to this entry through the RSS 2.0 feed. Both comments and pings are currently closed.